Prez Jeff informed us April 2nd is National Peanut Butter and Jelly Day – much to celebrate!! Sec Paul W distributed a Centennial Service Challenge pin to all who were members during fiscal 2017-2018 as our club met the challenge by reporting major service hours by our members, each and every month. 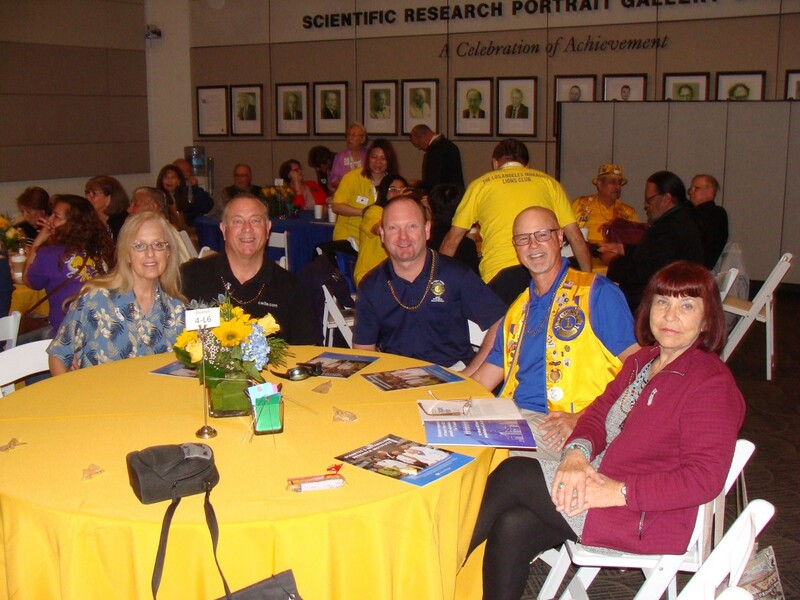 Treas Paul reported on the visit last Sunday to City of Hope. He was very proud to present our clubs’ check for $1,300 and our club was recognized in the Family and Friends category. Thanks to all who put their dollar in the can each meeting and those who have donated their ‘winnings’ to City of Hope. Members attending were Paul, Kiley, Elisabeth, Christian and Regina, Mercy and Paul W.
EXEMPT BADGE: Felina, Yvonne, Chris and Ray R for $100 each. Felina said she really missed us and hopes to attend more meetings in the future. No one else fessed up to anything! GOOD CHEER: PDG Bucky has just gone to a skilled nursing facility for further recovery. Prayers to Gary Zink who is in Yuma to visit his brother who just suffered a heart attack. A great golf joke involving The Pope, Benjamin Netanyahu of Israel, Jack Nicklaus and Tiger Woods. You had to be at the meeting to hear the entire story.